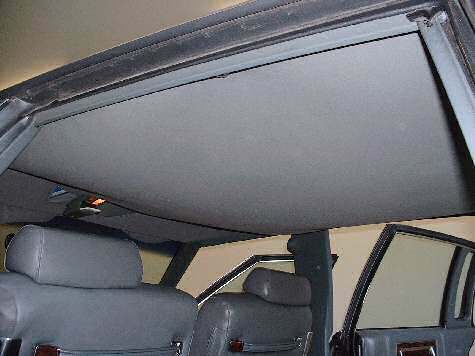 1991 Cadillac Fleetwood headliner repair and installation. 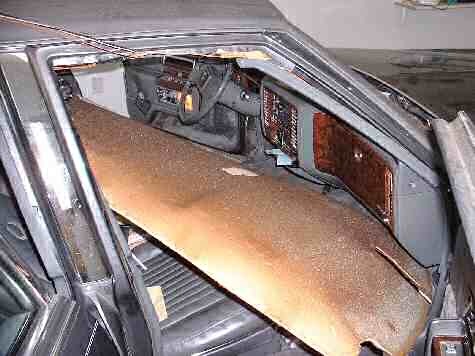 This Cadillac Fleetwood headliner had sagged down on the head of the driver. 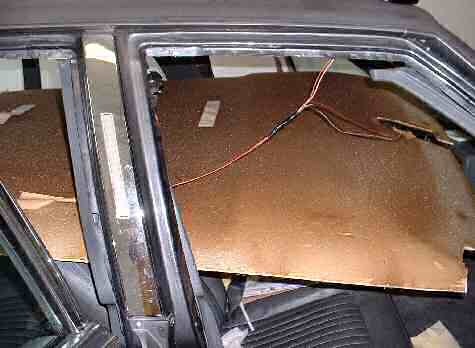 The Cadillac Fleetwood is a big, long, large sized automobile; and the headliner board is sort of hard to get out. 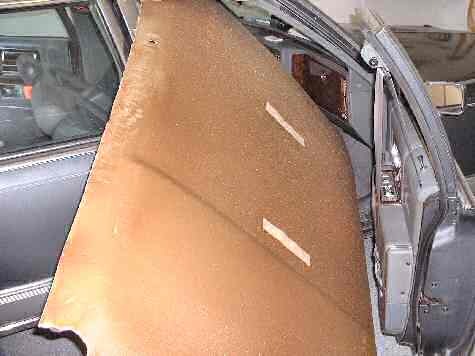 But with the right proceedure, this headliner installation job won't be such a hard one; and the average man can easily perform this task. A full sized headliner kit will do this car; click this link to go to the order page. The color we used here is the color 2005 medium gray. This headliner had completely turned loose and was hanging down about 1 foot from the top of the car. Start removing the visors, rear hangers, and trim. This is a pic of the small console at the front of the Fleetwood. It has one screw toward the back, remove it and slide it back, then it will come down. 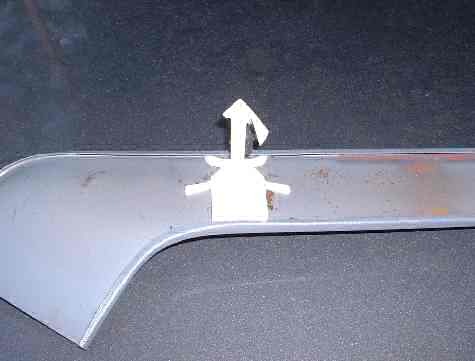 The rear trim has a center piece that is held in place with a screw, the rest of the trim is held in place with plastic clips - this a shot of the rear trim after it had been removed. You can see the clip that holds it in place. It is almost impossible to remove them without breaking a couple of them (there are 4). Try to keep at least 2 to put back toward the outside of the trim, the center piece will hold the middle. The side trim is metal and held in place with these plastic clips that screw into the body. The rear panels slide out once the trim has been removed. 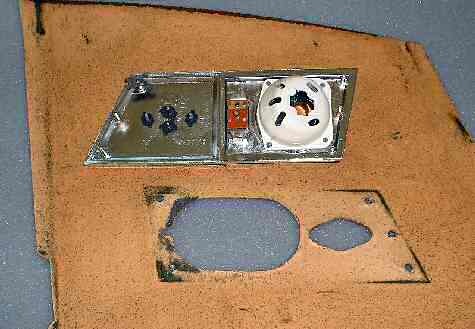 When all the things that attach through the headliner and the edge trim has been removed; slide the headliner board out from under the front trim and it should drop down. 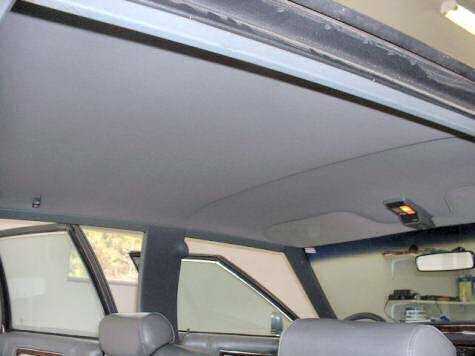 We have had many calls about the wider headliner boards. People ask the question, "will it come out without removing the seats or anything", the answer is yes. The installer has to work the headliner board out the passenger side of the Caddilac. 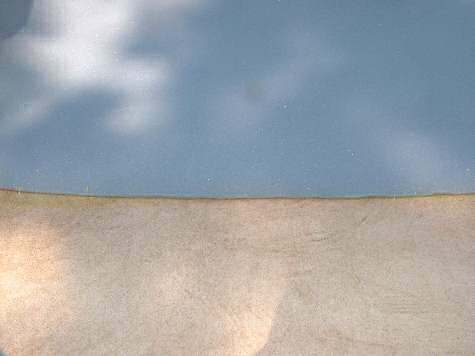 It is a tight fit and the edges of the board may be slightly damaged, but the edges are under the trim. It has to be handled frimly, but gently at the same time. This is just another shot of the board being worked out the passenger side door. As you can see the headliner board broke where the visors are attached. 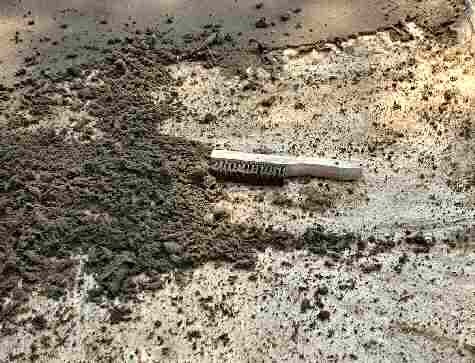 This is common, and is easily repaired just prior to recovering. A wire bristled brush works well on the styrofoam and cardboard headliner boards. We scrap it toward the middle of the board so as not to make such a big mess on the floor. We glued the broken sections back into place just before recovering. You can also tape it back into place from the backside with duct tape or somehthing like that. Once the headliner is glued to the board, everything will work good. Center the material on the board and glue about 1/4 of the headliner at a time. Apply adhesive to the board and the material. A good even coat works well (don't gob it on). 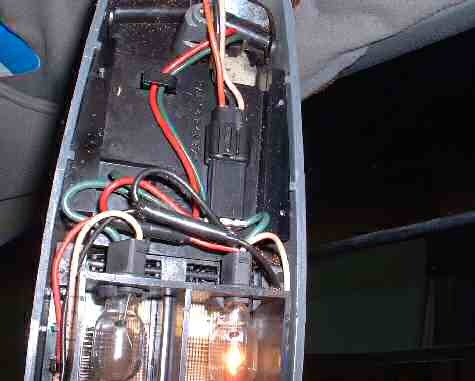 The lights in the rear panels are held in with small metal clips that attach to the pegs on the light housing. When removing these small metal clips, bend one side up slightly with a screwdrive and twist them off with a pair of pliers. Put everything back in just like it came out, and you have just done a professional headliner install. Im looking for the clips too.